Hi crafty friends!! Today I am sharing this amazing project that was super exciting to create! This month I had a theme for my project which was "Women". Since I love vintage themed projects, I came across this image that is printed on muslin that I had in my stash from a previous kit I had purchased! I knew then this would be my focal point!! I hope that you enjoy all of the photos I took and are not intimidated to incorporate paper with any kind of fabric!! Thank you for checking out this post! It began as a 6 x 12 bare Stitched Canvas Journal. I had planned originally on stamping some images on the outer cover, but came across a thin canvas piece that had come in a 12x12 Recollections pack that contained gorgeous paper, printed canvas , burlap, corrugated kraft sheet. 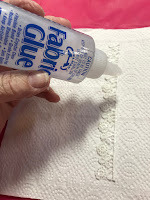 So I began my using my Helmar Fabric Glue to adhere the printed canvas onto the journal. This journal came together by being inspired by the image I used on the front which I had gotten in a previous kit. That is why I put together the outer area first. 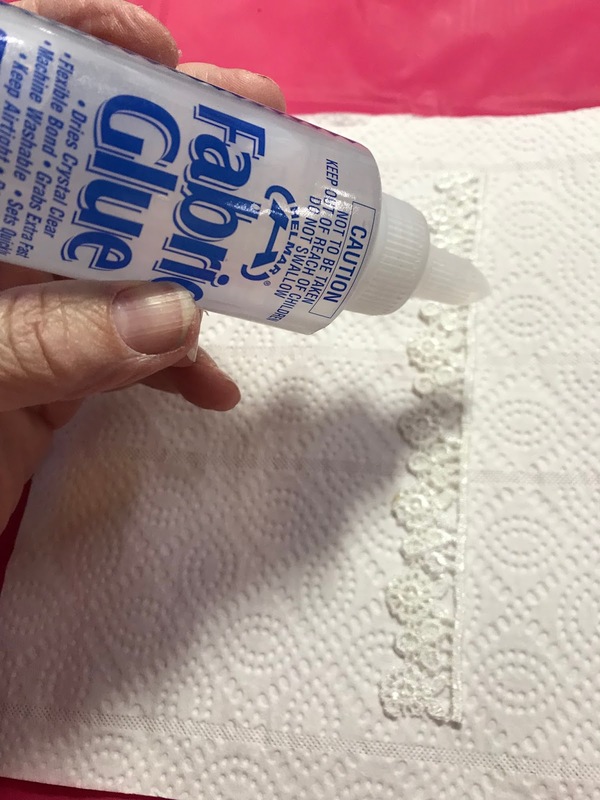 I then used the fabric glue to adhere the ivory ruffle lace around the edge of the journal. I used a different lace, same color, on the sides front and back. Then I found a doily and homemade flower in my stash that went great on the corner. I then trimmed of the edges of the image a little with my scissors and adhered it in the center of the journal cover. 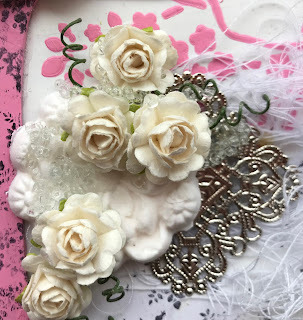 I then wanted to add a lace border around the image so it would stand out more and not be flush against the background so I had a color spray from Tattered Angels called Rouge, so I found a thin white lace and lightly spritzed it. Then used the same Helmar Fabric Glue to adhere it around the image. I love how it came out!! When I finished the cover, I moved onto the inner pages, I used the Helmar Premium Craft Glue on all of the pages where I used design paper, the canvas pages I used to cover them, I used the same papers from the Recollections paper pad that I had got the printed canvas from, they are a thicker base to be able to be sturdier, I also used a small kraft envelope and added a piece of kraft card stock so it can turn like a page. On the inner cover I made a pocket from a beautiful wide lace from my stash, I then added a narrow piece of vintage ephemera and I made a small tag album to use as either journaling spots or photo mats. The back part of the album is a very thick chipboard tag from Prima, and the rest of the tags are from Canvas Corp. They measure 6.25 X 3.125 . I distressed all of the edges as well with the same distress ink and only papered the front of the tags and left the back blank. I used a piece of jute also from Canvas Corp to hold them together. 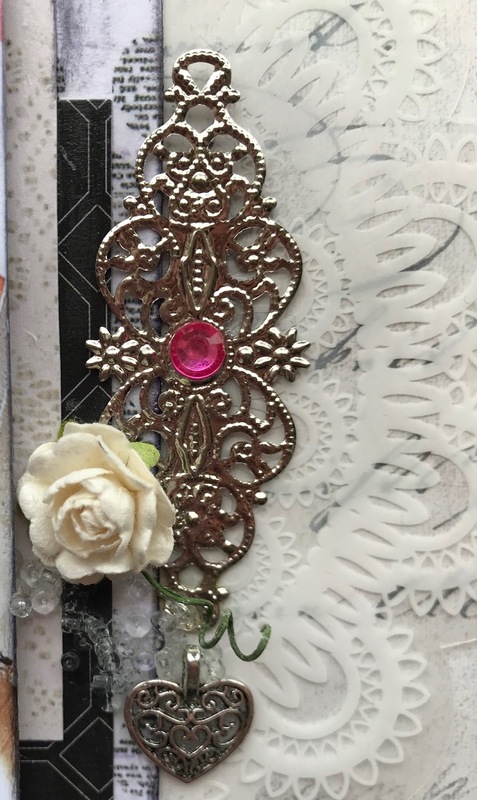 I also added an envelope that I had made using a book paper, lace and metal embellishment. I added a piece of kraft card stock as well so it opens up as a page too. For the following page I knew I wanted to incorporate the amazingly beautiful wide lace I had purchased in a haul. I first was gonna leave it as long pocket but it was a little too flimsy so I used my Helmar Premium Craft Glue to adhere it down the center and added an medium ivory flat back pearl to the center. So ended up with two pockets, I added some decorative laces, small pieces of fabric, doily, and a tag with a couple laces (for decorative purposes) . On the next page I made additional pages using paper bags where I made some decorative tags to use inside of these pockets using stamped images, rub on images, & Vintage Photo Distress Ink I also had a burlap tag from a junk journal kit I had purchased and added a beautiful tag with flowers on it , as well as mini paper bags from Canvas Corp Brands with mini tags on the inside for additional journaling areas and just other varieties of ephemera .I cover the paper bags using some vintage papers from my stash, they are not a heavy card stock so it wouldn't be overly thick. 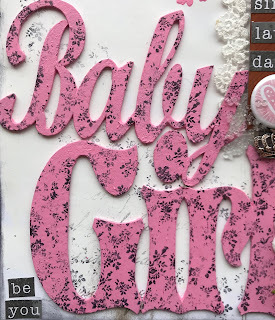 All of the papers were inked on all the edges using the Vintage Photo Distress Inks as well. I made a smaller journal with coffee stained paper on the inside that comes out from the main journal. Used some Vintage decorative kraft paper pad for this and added the similar thin lace from the front image on this journal as well but left it white. On the main journal there was a page in the center that was part of the Stitched Canvas journal, I cut it in half to make additional smaller pages , on the upper part I made a smaller journal that comes out that is stored perfect on the upper inside half of the paper covered journal, the lower part that I papered can be used as a pocket for a tag or anything else. On one lower piece I added a paper bag page I had made, I added a vintage image cut outs from the paper pad. The top end of the paper bag is a pocket too. On the upper half of that cut half I just added a piece of ephemera with a paper clip. On the smaller journal I just used the same thin paper I used on the paper bags. I added the same coffee dyed paper inside and added a rub on phrase on the front and the same colored lace I used on the cover image. The paper bag that was attached to the lower part of that back page I used the same small pieces of kraft card stock so it turn down. When that page is down you are able to see the same kind of envelope I made from coffee dyed book paper , lace, and metal embellishment. Again that last page I used some thicker design paper from the Recollections paper pad. I love the images on it! With a little imagination this journal makes an amazing keepsake for all your memories with plenty of journal spots as well as where you can add some favorite photos. I loved creating this vintage piece to add to my collection. It makes a wonderful gift as well so either way it will get used and enjoyed. I hope this wasn't too long for anyone to go through, I just wanted to make sure you got inspired to make one for yourself. You can create them using any sort of theme, I think a wedding one will be next on my bucket list. Something a bride can cherish forever. 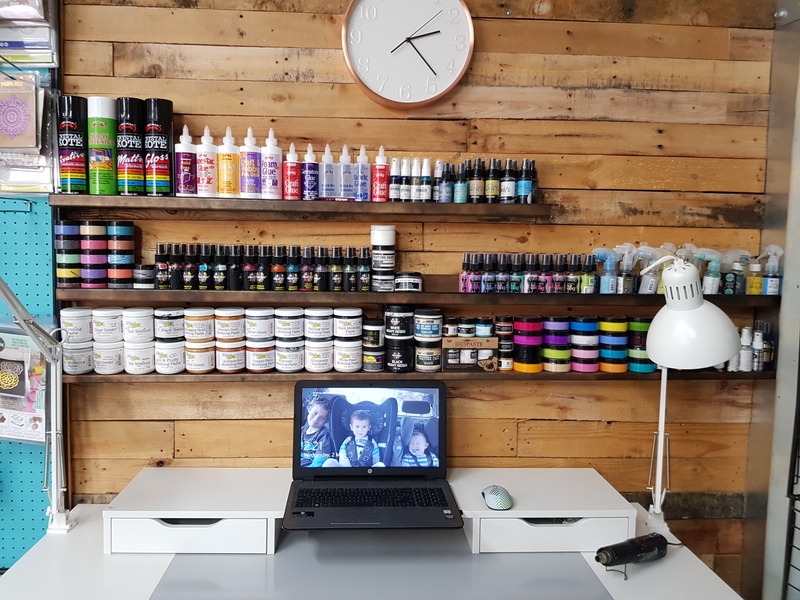 This time I decided to create a layout showing how you can use a few different glues depending on what you need to adhere to your layout. 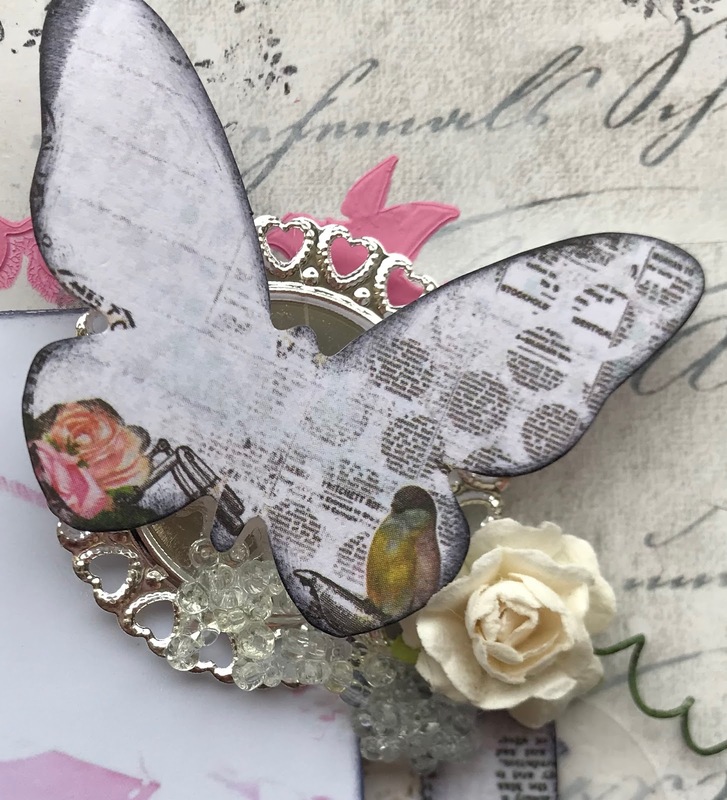 The butterfly is a sticker sheet that is just butterflies from an old range from Kaisercraft so are the words sing, laugh and dance. Lots of embellishments that I've had for a while in my stash. Hi everyone!! 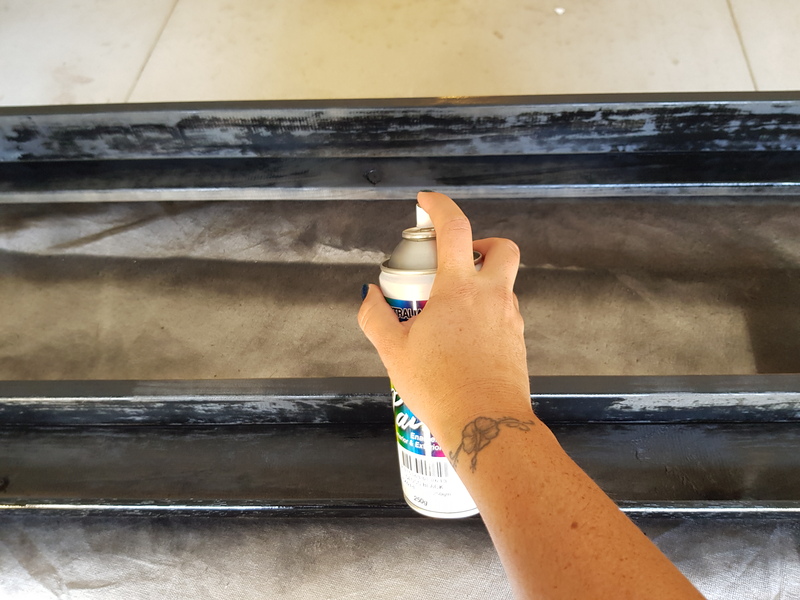 Amylove here to share my love of Star Wars through this easy canvas project. I've made these in several different characters to decorate my son's room. I begin by tearing the paper I have chosen into pieces. 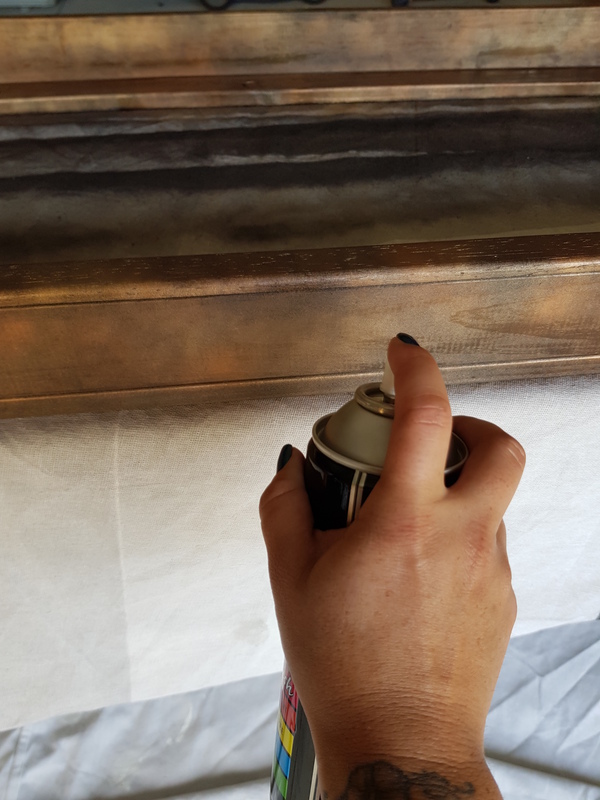 I spray the back of my character template with the Helmar Spray Adhesive. This will hold my template down on the canvas so I may paint around it. I placed the template down on my canvas and made sure the edges adhered well. I watered down white and silver paint and used my fan brush to create splatters (or stars). When everything was dry, I easily peeled of the template. I hope you enjoyed this project and May The Force Be With You! I have two different types of projects for you today showing how Helmar came to the rescue! I own a lot of scissors and they all have one thing in common - they get gummed up, sticky and don't cut well. Patience is not one of my strong suits, so I frequently cut papers before the paint, adhesive, etc. has time to dry completely. As you can see in this photo, my scissors need help. Did you know that Helmar has a product that can come to your rescue? It is Helmar H6000 Remove Cleaner. This cleaner removes sticky, greasy residue! I began by spraying a pair of scissors with the cleaner and, using an old rag, began wiping and polishing both the blades and the handles. You might need to use a bit of elbow grease and reapply the cleaner but with some effort, all of the dried glue and paint was removed. I did this for each of my scissors. Once done, I washed them all off and dried them to ensure the blades would be clean. Look at them now! I am all ready to get back to creating! When I was visiting my daughter, she pulled out her wedding cake topper and was upset to see that it was in three pieces. I brought it home with me and told her I could probably fix it. This time it was Helmar 450 to the rescue! Using a toothpick, I applied 450 to the back of the Mr and Mrs trying to align it back up as good as I could. I wiped away any excess. Once the words were glued back together, I applied the background piece again using a toothpick. If you look closely you can see where it was mended but I know my daughter is happy to have it back together. Thank you Helmar for coming to my rescue! There is a button on the right side of the blog if you are interested in purchasing these or any of the other wonderful Helmar products! And don't forget to check Helmar out on Facebook. Thank you for visiting with me today and I look forward to see you next month with a creative project! 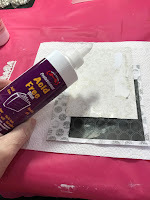 Hi all Vicki-Ann here today and I am talking about *letter journals and how Helmar glues make it so much easier to do them. Well I have been busy coffee staining papers. I was all inspired by Nik the Booksmith and all her awesome journals. So I gathered a heap of all different papers. Book papers, copy papers, maps and dictionary papers and coffee stained them. to stick them together. I ended up using this envelope to insert my list of addresses where my letter journal is traveling off to. To make my cover of my journal is inspired by Nik the booksmith she called them frankenpages. I thought what fun. So I gathered all my scraps of papers in brown tones and glued them together with some watered down Helmar Decoupage glue. Just adding layers so they all held together. I left it all to dry well. Then I cut it to the size I wanted 8 inches by 8 inches. Using my sewing machine I sewed here and there. I sewed around some elements and in lines along some. Then I sewed all around the edge. I glued them all down on to some coffee stained card stock. I inked around all the edges of everything with Tim Holtz distress ink and a blending tool in walnut stain. Then I popped some brown cotton on my sewing machine and sewed around the edges of them all. I folded it in half and then looked at where I wanted to add my bee collage and my journal word. I thought it looked cool on the front so using some Helmar Tacky Glue I popped some glue on the back of each and pressed it firmly on to the front. 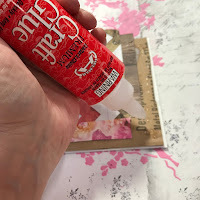 This is were it gets so handy to be able to use the Helmar Tacky Craft Glue as I can make all my elements before hand and then decide were I want to put them and they still have the sewn details so it all matches. I made a pocket for the inside by sewing around some coffee stained printed paper. I popped another bee collage inside the pocket. Because this is a letter journal I need to pop the addresses of were this has to go so. I typed the addresses and some quotes up on my computer and printed them out on coffee stained copy paper. Then I tucked the addresses in the envelope that I tacky glued on to the inside back cover. To be continued... Stay tuned for Part 2. More of what I popped inside this letter journal next month..
*So a bit about letter journals. A letter journal has a group of 4 people. You choose a theme for your journal and then make a 8x8 inch cover and you have 4 A4 pages folded in half inside that are sewn in. You add an introduction at the start and add the addresses of all the people in the group in the inside back cover. You do a double page spread in your journal and then send it on to the next person in the group. When you receive a letter journal in the mail, you then do 2 double page spreads in the journal and then send it on to the person after you in the group. Hello! It’s Robyn Wood with you today sharing a project featuring one of my favourite sources of inspiration – Paris. Paris is one of those cities that starts to steal your heart before you even set foot on its streets. I found it totally takes over your soul when you actually get to wander the cobbled streets and experience the most memorable of its sights, sounds, smells and tastes. My project is a little mini book using some of the beautiful Parisian imagery from Prima and paper from a little book of writings by Voltaire. There is something about the look of the French language that I love. The book starts as a plain white sheet of paper and through folding, cutting, layering and inking morphs into the most delightful of little books. Helmar glue is the perfect partner for putting a book like this together and helps make construction trouble free. Randomly paint a sheet of A4 watercolour paper with a mix of pink, grey and white acrylic paint. I have used rough strokes with a wide, flat brush and left the paint unblended so that you can still see some of the brushstrokes. Stencil parts of the paper with white and grey acrylic paint and allow to dry. Using a bone folder and scoreboard, divide paper into four equal sections along the long edge and in half along the short edge. Crease the folds well. With the paper laid in landscape format, four panels across and two panels down – cut horizontally across the centre between the second and third pairs of panels. This will give you a horizontal cut in the middle of the paper. Splatter paper with gold ink in a random manner, repeat with grey acrylic paint. Folding the paper first will give you a good idea of how the pages will look so you can insure that you get spatter across every one. Fold paper into book shape by folding along the centre and using the split in the paper to allow it to form pages. The book is open at the bottom so I used a small amount of Helmar Professional Acid Free Glue to adhere the opening closed. That will leave two sides with openings and I also glued one of them closed. The other was left open to have a little piece poking out. 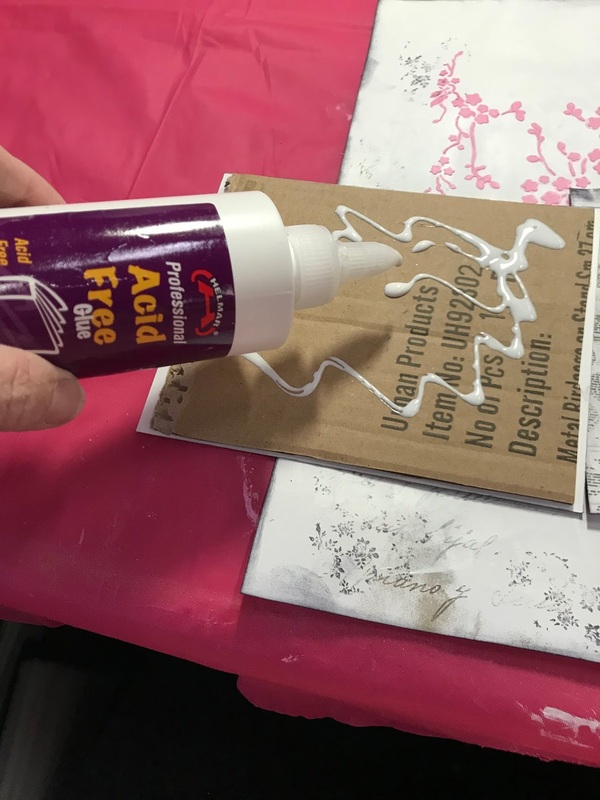 Tear some pieces of French book paper and adhere randomly to some of the pages using Helmar Professional Acid Free Glue. 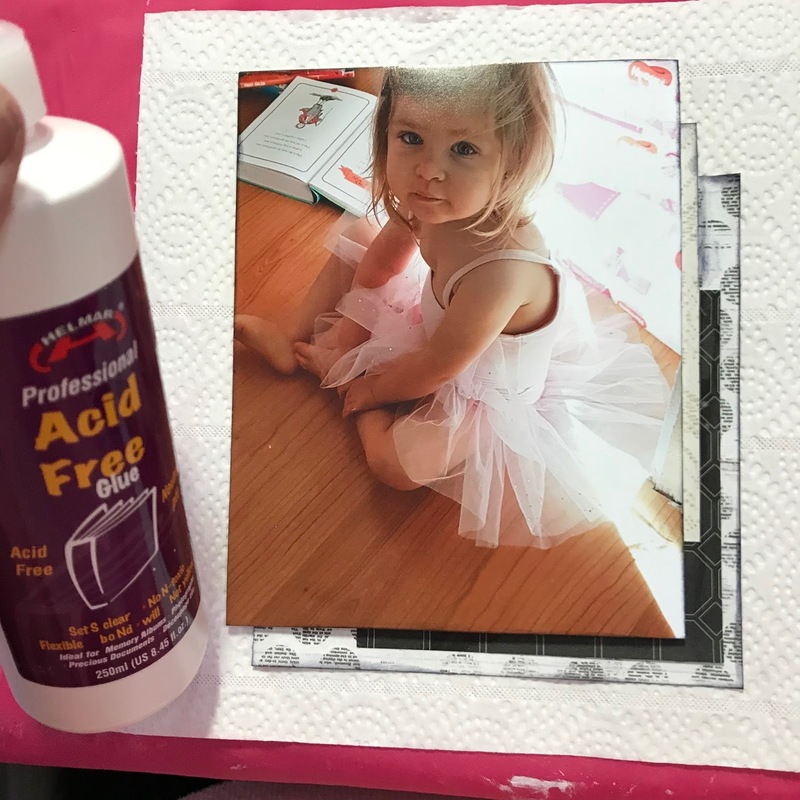 This glue is perfect for light papers as they don’t buckle and warp. Stamp some of the pages randomly with sprig style images using pale grey and light green inks. 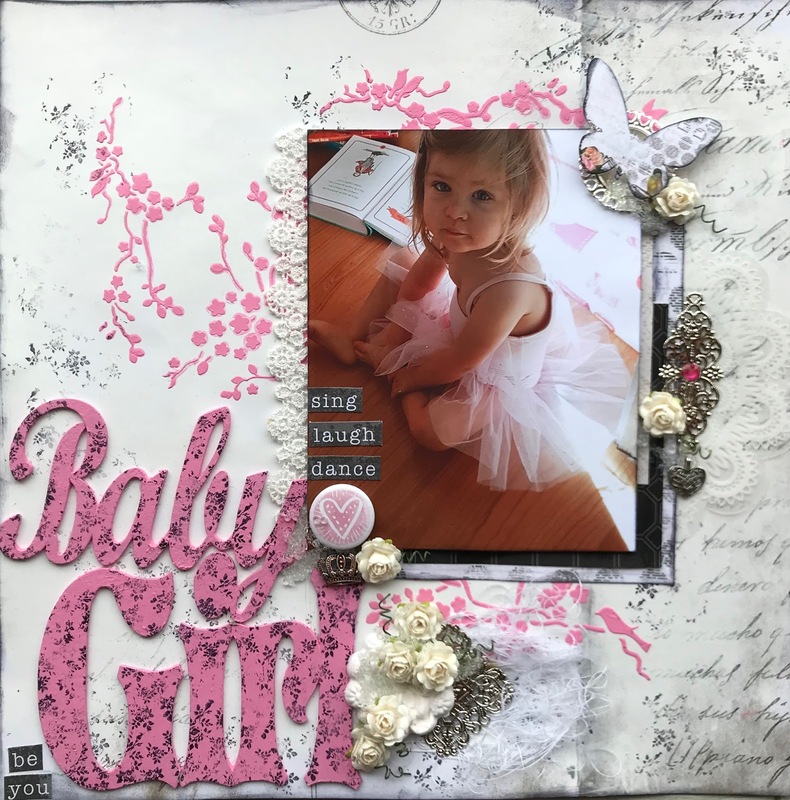 Prepare a range of ephemera pieces using the Prima paper & ephemera packs or anything similar in the theme. Trim the Darkroom Door Paris filmstrip images and distress them a little using scissors or sandpaper. Ink around the edges of all the pieces and the edges of the book using brown ink. This will give everything a beautiful, aged look. Layer pieces onto the pages of the book using Helmar Premium Craft Glue – I love how fast this glue dries but it still gives you a little working time to place the pieces exactly right. Create a little folded piece that can be tucked into the opening created above, this will give a little surprise to be discovered when viewing the book! Don’t forget to place a tiny spot of glue behind any little pearls to keep them from going astray. Hello people, Tamiko here!! I love making tags! 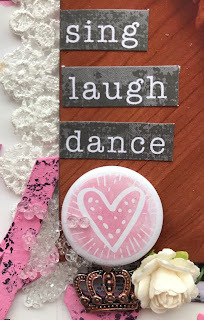 Sometimes I will make a few cute tags and use them as an invite to drop in the mail to friends. As a matter of fact these may go in the mail some time next week asking friends to save the date, and celebrate my upcoming birthday in June! Let me show you! These tags are pretty flat and all my embellishments are made of paper or fabric from Canvas Corp Brands. I took some of their black and beige scrapbook papers and fussy cut the images or colored them with watercolor pencils and gel pens. 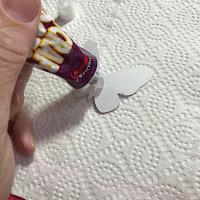 I mainly used the Helmar Craft and Hobby Glue to adhere the papers to the tag. As I layered the paper embellishments and burlap I switch over to my Helmar Craft Premium Glue to secure a few dimensional pieces. The tags dry pretty fast and then I clean up the edges with scissors. I also attach my invite information to the back of the tags and they are all ready to drop in a business size envelop and and off in the mail they go! Tags are not just for gifts anymore and these invites prove it! 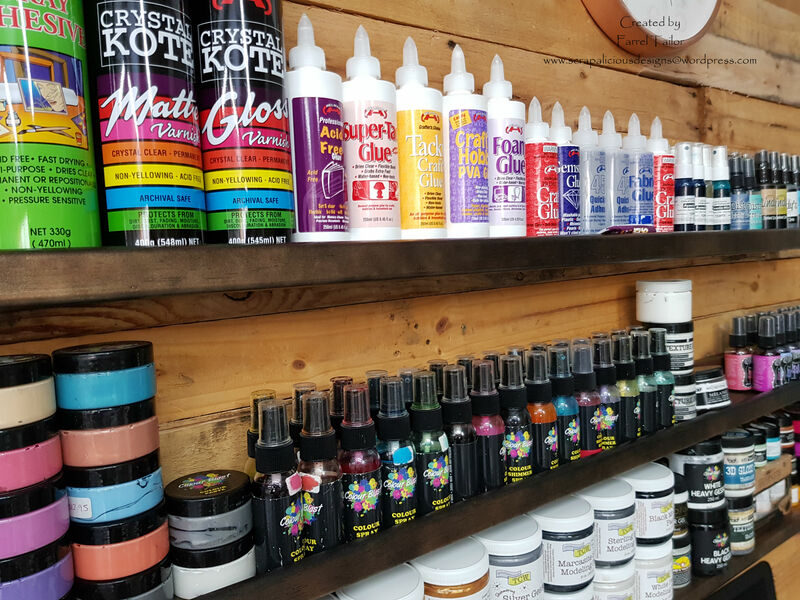 Helmar Products make all craft projects special and your embellishments stay secure well beyond when needed!! I wanted to do a scrapbook layout with a galaxy background and using this cute iron on patch set from my stash and some chipboard stars to build dimension to the layout. 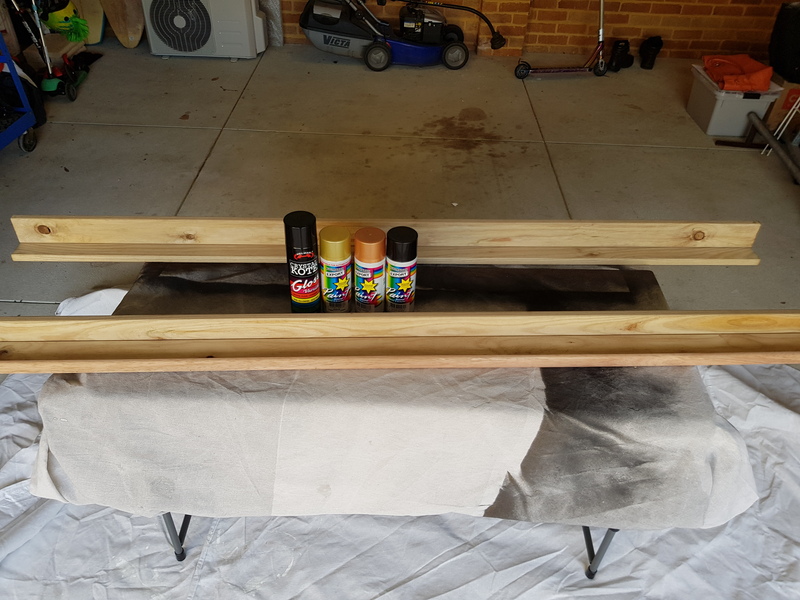 It quickly changed to me reusing a old canvas that the kids tried to paint a Christmas tree on years ago to create a item suitable for wall decor for a child's room. I love painting Galaxy/Nebula paintings as the technique used is one that I am able to easily do with my hand issues. 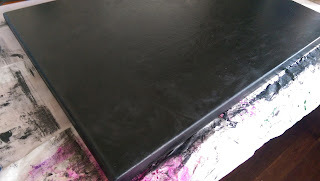 I started by coating the old canvas with a coat of Colour Blast Heavy Black Gesso, I got great coverage from this Gesso. While the Gesso was drying I coloured some gauze in the colours I wanted the nebula to be as I wanted to experiment and see if I could add it to the painting to give the nebular dimension. 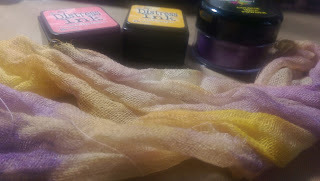 I simple dabbed some distress ink on my craft sheet added water and rubbed the gauze in it. I repeated with some Colour Blast Mica Powder in Wisteria. There are not photos of this attempt as it really did not work so the gauze quickly became another aspect of the piece. 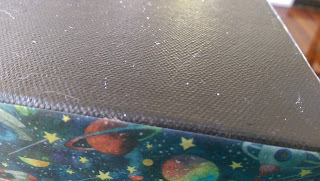 Once dry I wrapped some space themed washi from Scrapping Fun Kits around the outside of the canvas on the edge using Helmar 450 Quick Dry Adhesive to ensure a strong stick as the adhesive on the washi would not be enough to get a long term hold. 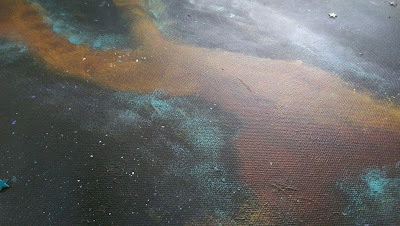 Next I started working on my Galaxy but gradually sponging coloured paint onto the canvas in a sort of nebula shape. I used some old paints in red, yellow, purple, blue and white. I blended the red and yellow together where needed to get hints of orange. Then I flicked paint with a brush all over the canvas mainly in white but also some of the blue and purple to add to the space effect. 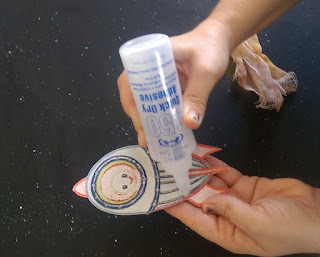 Once the paint was dry I adhered some of the coloured gauze behind the rocket ship patch then I adhered the rocket ship and the planet patch that came in the set to the canvas with Helmar 450 Quick Dry Adhesive. Finally I used the last of my Studio Calico chipboard stars I got from My Scrapbook Room randomly on the canvas using the Helmar 450 Quick Dry Adhesive. Once everything was dry I gave the entire thing a coat of Crystal Kote Gloss Varnish to seal it all and protect it. I sprayed a bit closer in some spots to see how that would affect the finish, I was hoping it would enhance the night sky feel of the piece and it did. HI everyone, its Bridget back again to share another of my scrapbooking layouts. I think it is very important to showcase how crazy and fun family life can be, I love this photo of me and my girls having fun in the photo props at Luna Park. I wanted to create a fun background to go with my fun photo, so I decided to use twine. I worked out where I wanted my photo to go then I used a push pin to remember the center. Time to get Messy now. Pour Helmars Craft and Hobby PVA into a small bowl. Cut your twine to the desired length, adding a little for a over hang (you can trim this later) and pop in into the glue. Rub your fingers down the twine to remove excess glue. 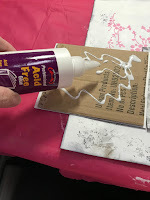 You dont want extra blobs of glue on your page or all over your work table. Then you just place the twine on your page going from one side of the page to the other. Then let dry. 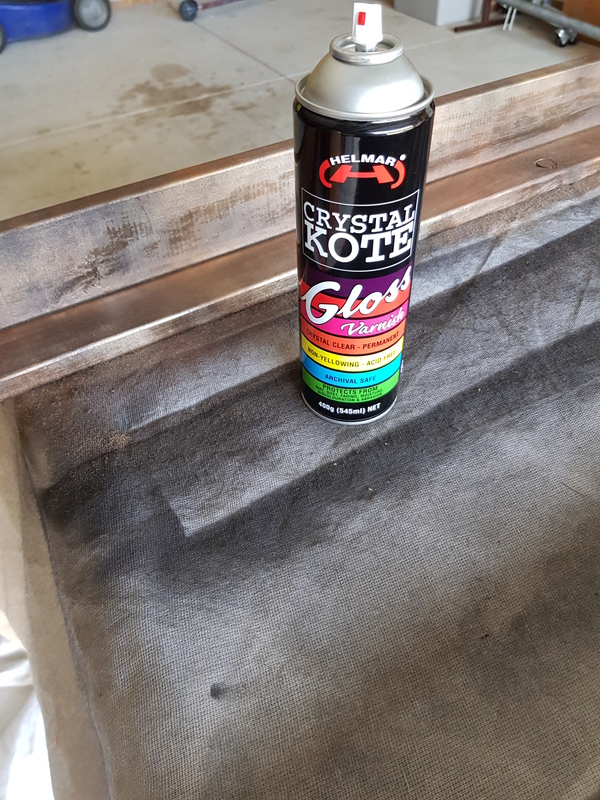 Don't forget to wipe your work bench down after or you may end up with a sticky table. Luckily if like me your crazy family demands your attention and you forget, Helmar is also there to help with their H3000 Remove cleaner. It cleaned my sticky mess up nice and easily. I think this is a must for every craft room. Also it removes stickers that my crazy children stick around the place! Back to my layout. 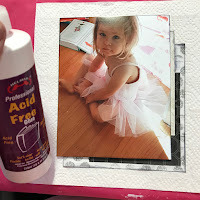 Using Helmars Professional Acid free glue I put a black then a white mat around my photo. I also used this on my patterned papers. 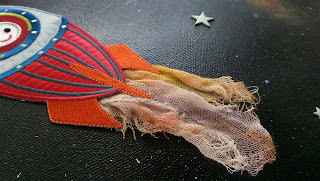 Then to add my embellishments I used Helmars craft glue. Once again here is my finished layout. 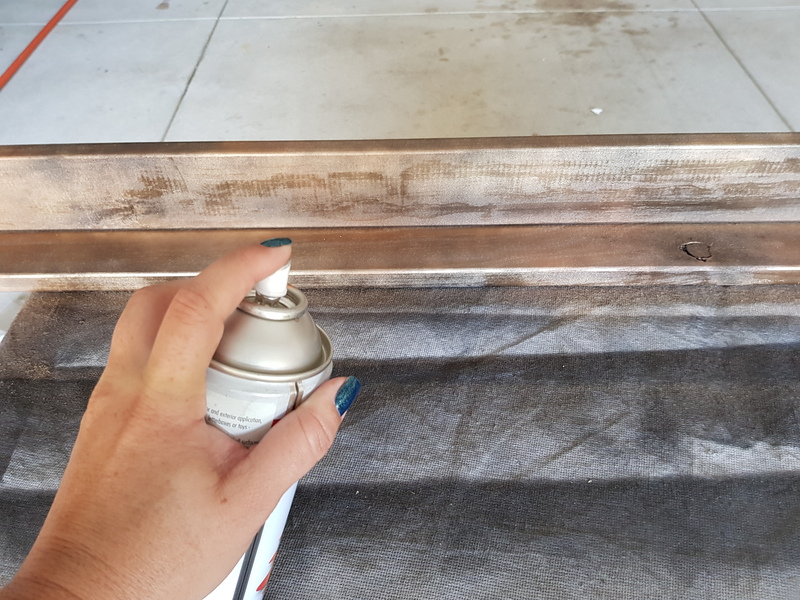 Once the black was dry (which wasn't long), I then lightly sprayed the Gold spray paint. 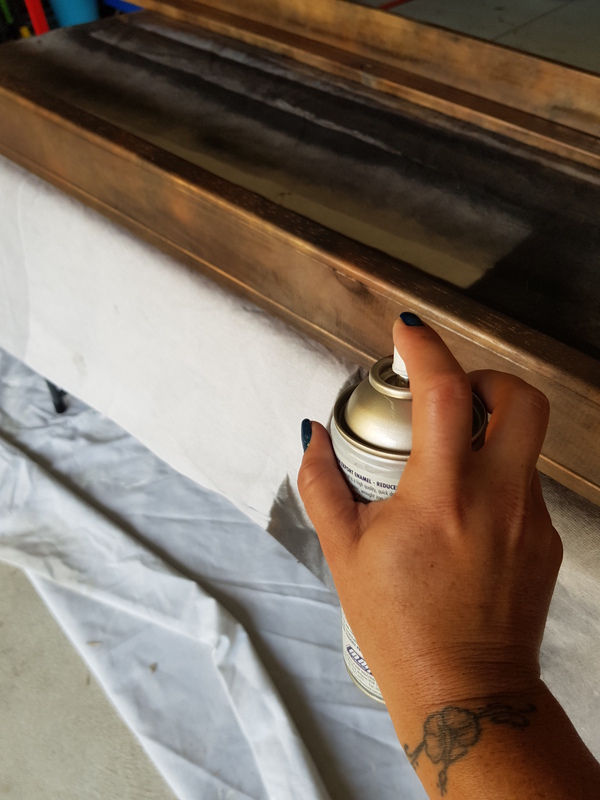 I wanted to get the industrial look so I used a swiping motion with the spray can making sure I didn't completely cover the black coat.